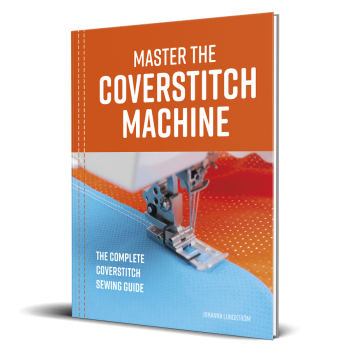 Get ready to take your coverstitch machine skills to the next level! Learn all the necessary techniques you need in order to create professional-looking garments that will rival ready-to-wear. Master the Coverstitch Machine will guide you through the best practices needed for successful coverstitching, with easy to understand, illustrated, step-by-step instructions. Learn all the professional hemming techniques with detailed, illustrated instructions. Half a dozen fully illustrated step-by-step tutorials for how to finish necklines and sleeve openings with a coverstitch machine. Tutorials on how to sew jeans using your coverstitch machine using garment industry techniques. 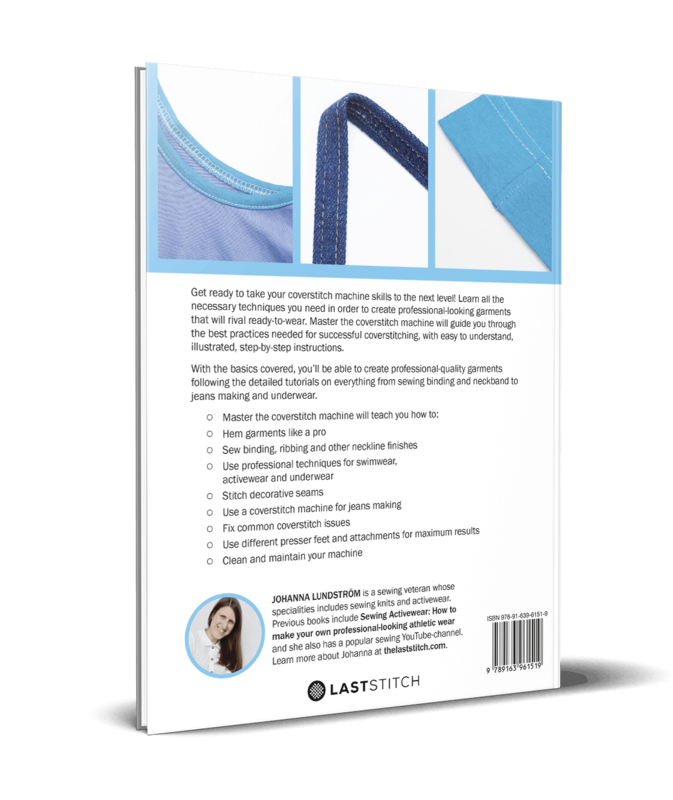 Comprehensive coverstitch tutorials for a result that will rival ready-to-wear. How to buy the coverstitch machine that best fits your needs. Learn how to use the coverstitch machine to create beautiful decorative stitching, including reverse coverstitching and mock flat-lock seams. Beautifully designed and interactive pdf ebook that can be read on any device. Direct download after purchase. *Local VAT might be added in compliance with tax regulations. Full colour paperback (print-on-demand). *List price, actual Amazon price might vary. Johanna Lundström is a sewing veteran whose specialities includes sewing knits and activewear. 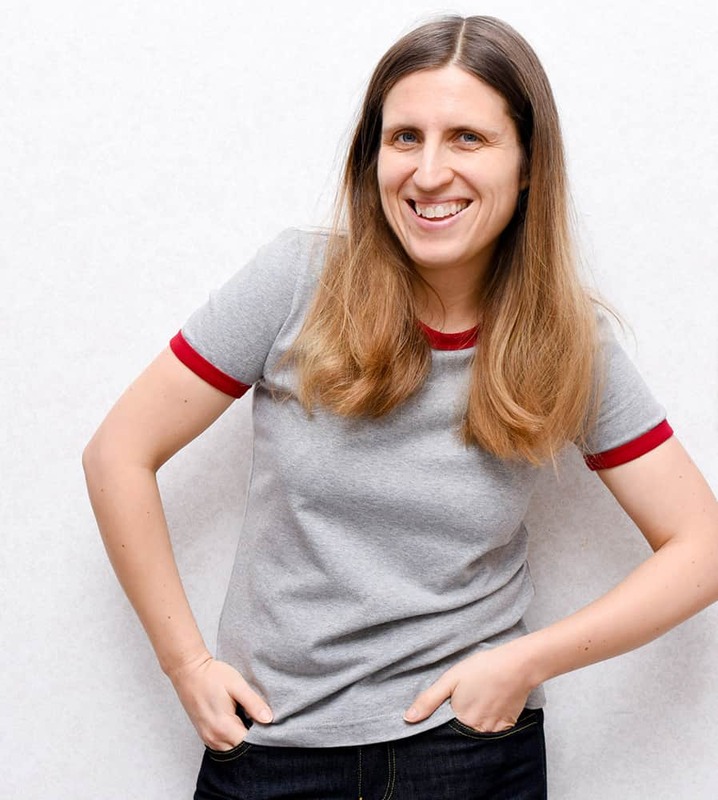 Previous books include Sewing Activewear: How to make your own professional-looking athletic wear and she also has a popular sewing YouTube-channel. Learn more about Johanna at thelaststitch.com. 100%! In fact, I wish I had something like this book available when I bought my first machine 15 years ago. This book will help you make a very informed purchase, and the first section in the book is actually a buyer’s guide where I describe all the different types of machines out there and what you need to consider before taking the plunge. Also, the tutorials in the second half of the book will help you decide on what type of machine you want (for instance a 2-needle vs a 3-needle or a combo vs a regular). I think so! The book moves from beginner to more advanced, RTW-inspired, techniques. So if that’s your jam, I think you’ll find useful information in the book. Plus, it’s always good to brush up on the foundation stuff too from time to time, and there is a lot of information on things like thread, needles, settings and even a section about industrial coverstitching. That said, if you are an advanced coverstitch user (and I know there are some amazing coverstitchers out there) you have probably already figured out the techniques I describe in this book. Yes! This book is not done for a particular coverstitch brand, the content is applicable to every coverstitch machine out there. Because apart from threading and an occasional extra settings knob, all coverstitch machines work the same and the tutorials I show in the book can be done on pretty much on any coverstitch machine. Can I get the print book in my country? Check your local on-line book stores! More and more on-line book sellers around the world have begun selling my book, such as Amazon, Book Depository, Adlibris (Sweden), Barnes & Nobles and I’m sure there are plenty more shops too. It means that the book is printed after the order is placed or that it’s printed only in small batches to accommodate the current demand. Normally books are printed in batches of many 1000s using a slightly different printing technique , but POD allows self-published authors the ability to offer printed books in both paperback and hardback. My sewing books are paperbacks with a soft matte cover that looks super nice!